Last weekend Mike and I spent the night in Falmouth, we want to find somewhere to stay central to town as we were going out, somewhere within our budget but still 'us' and so we found Cutty Sark. Cutty Sark is a restaurant, bar and hotel right on the main street in Falmouth. It's the perfect balance of old style traditional pubs and current boutique hotel style rooms. We had some mix ups with card details before arriving so were only on some of their details when it came to checking in but they were super friendly and got it all sorted in no time. Then we were taken to our little room, decorated simple but perfect colours and little touches. 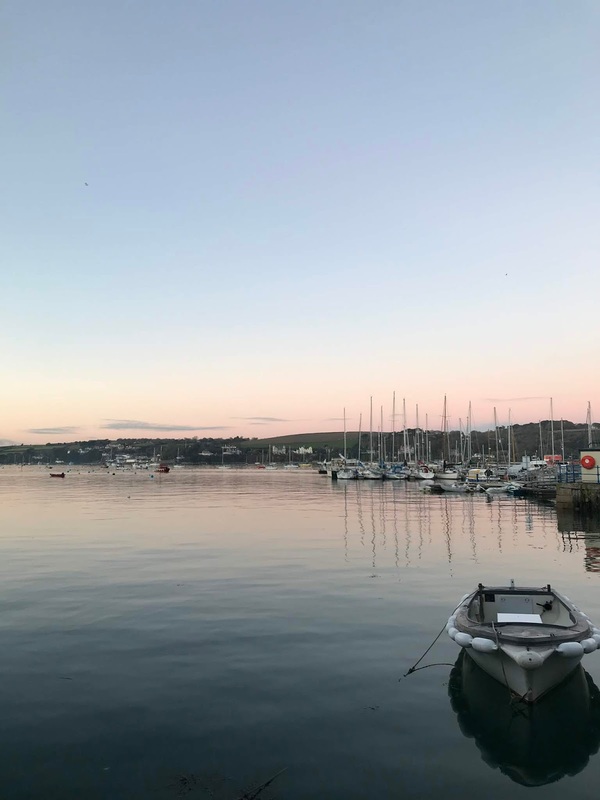 The best thing about this hotel in Falmouth has to be the location on your doorstep is this view and all the restaurants, shops and bars you could want. The restaurant at Cutty Sark looked amazing and the bar had amazing music planning, I'd definitely try their evening food menu if we hadn't already planned to pop to zizzi;s Italian (mainly because I had a gift card to use) my highlight being this amazing gin cocktail, the first of many that night. Our night carried on with a few cocktails at different bars and then to a club as we found our way back to the hotel room. Now the next morning is always one of my favourite parts of staying in a hotel, is the breakfast (especially when its included in the price of your room). The more options on the BnB breakfast menu the better the hotel in my opinion and Cutty Sark didn't disappoint from full Englishes, veggie fry ups to eggs royle or my favourite the smoked salmon and scrambled eggs on toast, yep I weirdly still wanted smoked salmon even with a hangover, Mike went for the full Cornish fry up, a much more fitting hangover cure. All in all it was one of the best breakfasts out we've both enjoyed. 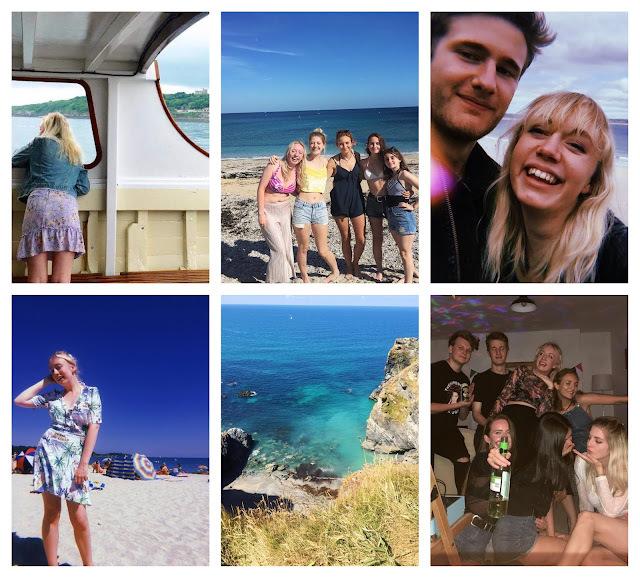 The Cutty Sark is on the top on my list of places to stay in Falmouth now even if you live as near to Falmouth as we do.